There’s been a lot of buzz in the beauty world about the new Marc Jacobs air blush. 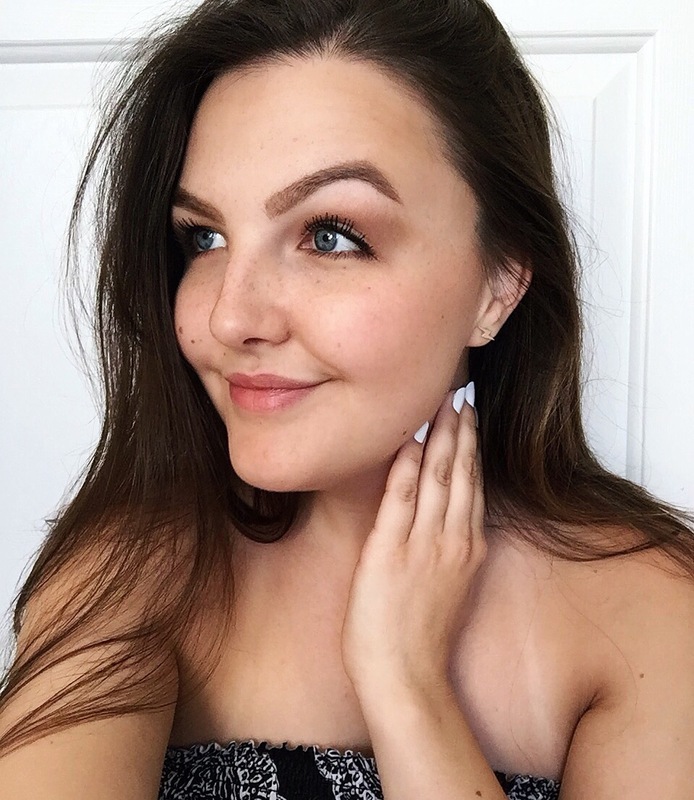 I was lucky enough to receive this product through Influenster to test out, so I thought I would post a quick review for you! 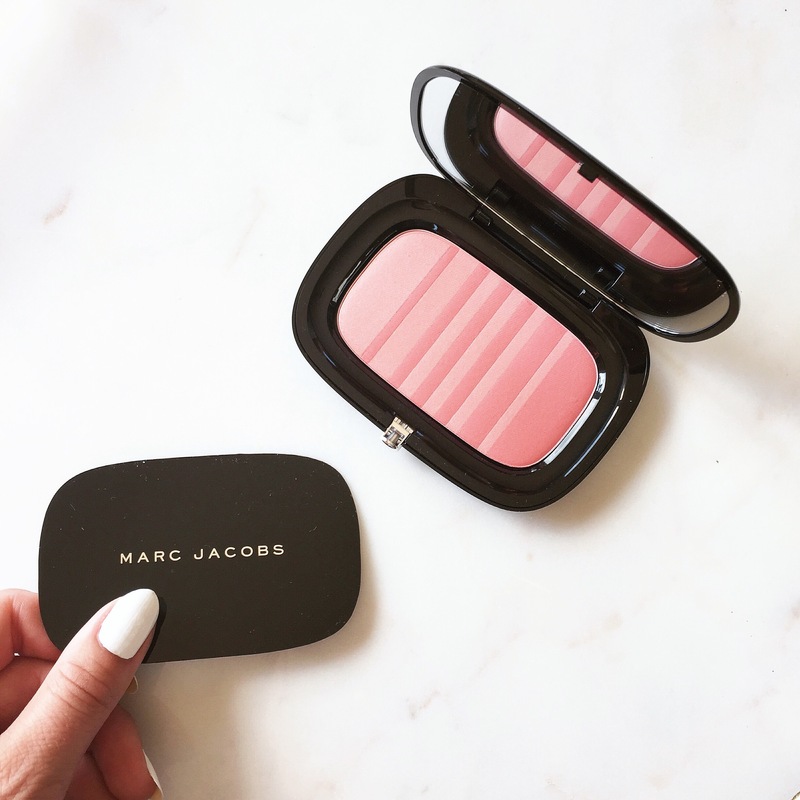 I am obsessed with Marc Jacobs perfume–Daisy Dream is the perfect scent–but I haven’t tried much of the makeup line, so I was very excited to try out the air blush duo. The shade I received is “kink and kisses” and it’s a beautiful peachy-pink that I find very flattering. The texture of the blush is soft and velvety, and super pigmented. This blush is meant to be used for “draping,” which is basically contouring with blush. The idea is that you sculpt with color, rather than creating the illusion of shadows with bronzer or a matte brown contour. I made an attempt at this, but I’m pale and naturally pink, so honestly I just looked sunburnt. My preferred method is to slide my blush brush through the powder to get a stripe of the lighter shade on top and the darker shade on the bottom, rather than blending the two colors together. Then I run that along my cheeka above my bronzer. The result is similar to using a highlight and blush at the same time, and it makes my face appear glowy and fresh. This blush is available at Sephora and retails for $42. Let me know if you’ve tried it or have used blush for “draping” and if you have any tips! This entry was posted in Uncategorized and tagged air blush, beauty blog, beauty review, fashion blog, influenster, kink and kisses, makeup, makeup review, marc jacobs. Bookmark the permalink.